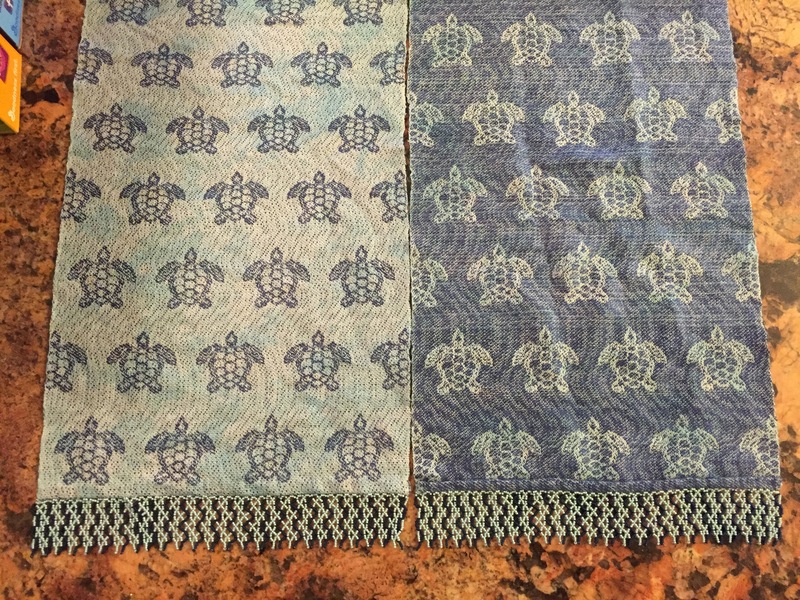 As for naming your two pieces, no two pieces are ever exactly the same as the weaver may be in a different mind set and her beat could be slightly different in each piece. Frequently at art shows I have seen two paintings hanging side by side that appear to be the same. The artist has entitled them…Untitled 1 and Untitled 2. You could title your work Phoenix 1 and Phonoenix 2. Was the second piece woven after your mother’s death? If you are reproducing the second piece for your brother then there is a whole new meaning to the second weaving. 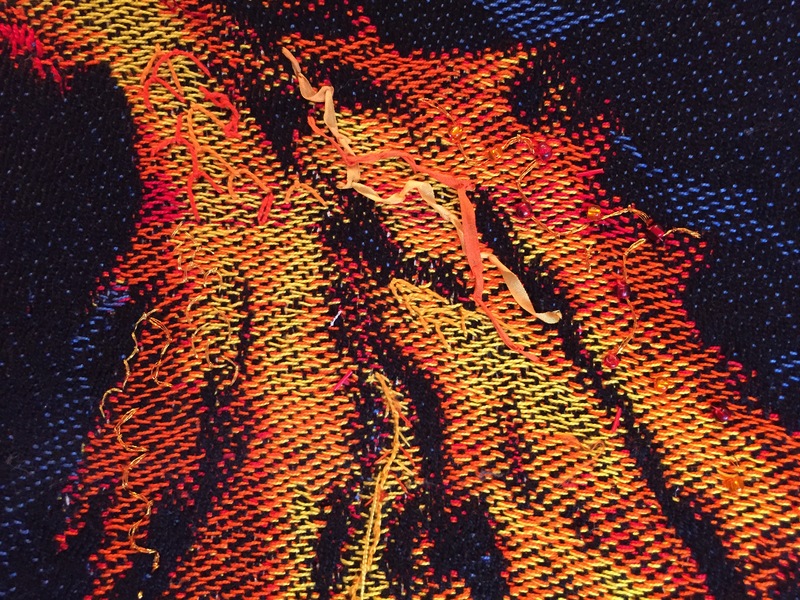 Looking forward to seeing the piece in person at the Complex Weavers Seminar. Same title with a Roman numeral to designate that there are two works. Huang as the title of first phoenix representing the female. Feng as the title of the second one which will be for your brother. These will be breathtaking to see in person.